So now that summer is really in full swing here, I thought I would give you an update on our crop shifting. In the main garden the squash is really taking over everything, and the greens, while large, are coming to an end. In fact right after this picture was taken we had to pull all the spinach as it was starting to flower. 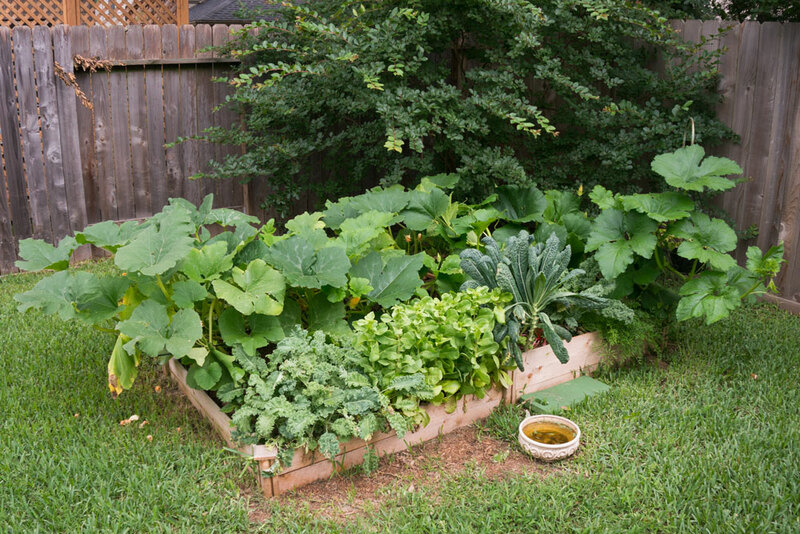 The kale and collard greens are still going strong for now, and the carrots are not ready to be picked either you can barely see them under the squash on the right side. Not much change on the grape vine. No grapes have ripened yet, and probably wont until fall. We really could use more trellis, basically everywhere in the yard. On the other side of the yard to make room for more summer veggies I had to build another bed. I didn’t expect that squash to get so huge and fill the other one. Really overall everything got bigger than expected. 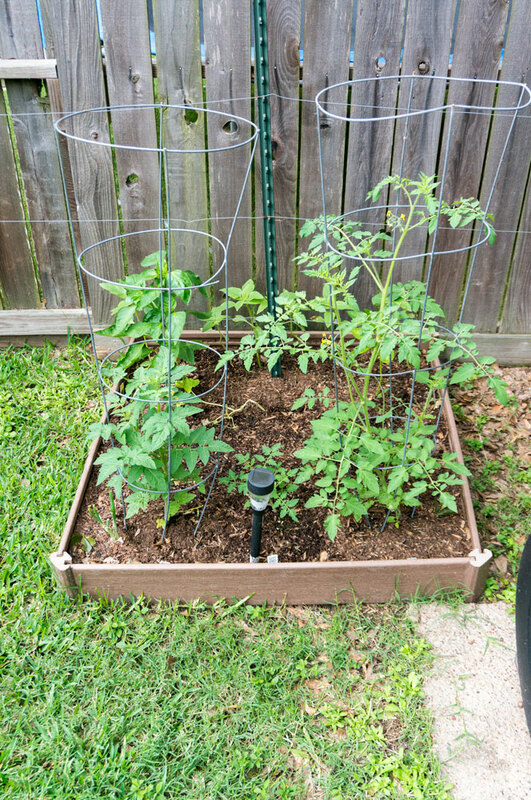 In the below garden I did 3 different tomato plants. Then behind that two pepper plants. Along the fence here I also did a row of sunflower seeds. 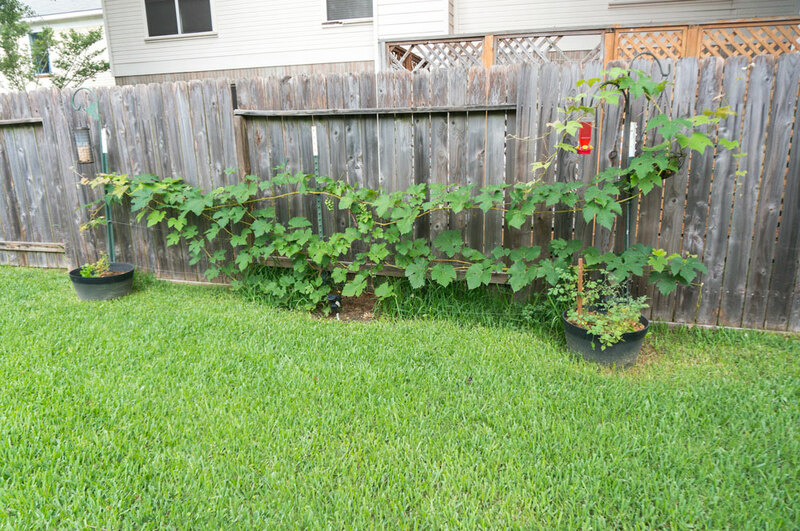 They are supposed to grow to 10ft and I’m hoping they keep our neighbors from looking over the fence, as well as providing a little bird seed. Pretty much no progress on my little mandarin seeds I planted. Maybe they will grow more in the summer? 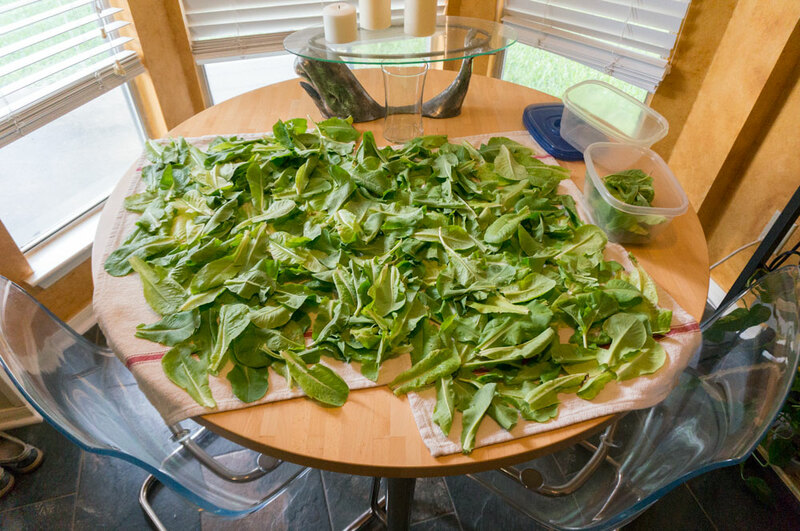 This is all the spinach we had to harvest. I ended up making 3 salads, and then freezing the rest. All in all I’m happy to see it go, as I am super tired of picking it! I’m looking forward to some different veggies this summer (tomatoes and peppers), and looking forward to saying goodbye to my greens. 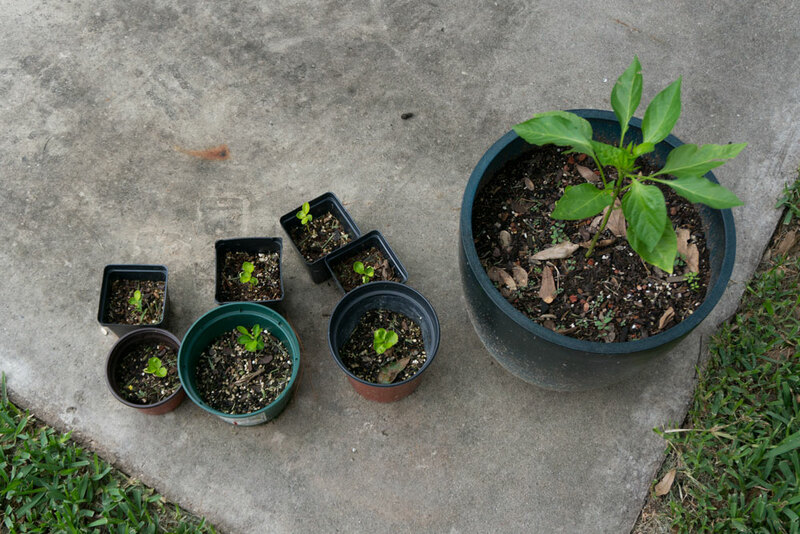 I have really enjoyed having them, but it’s time for a change — one of the best things about gardening! We’ve been getting summer squash auto shipped to work. Ridiculous amounts. Zucchini everything up in Whole Foods right now. My parents’ garden was like that too. I detest zucchini and yellow squash. You will have to give me some recipes Megan.